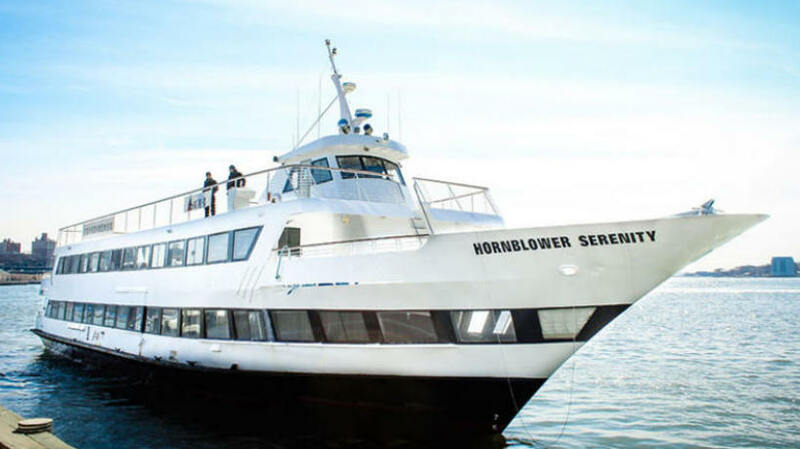 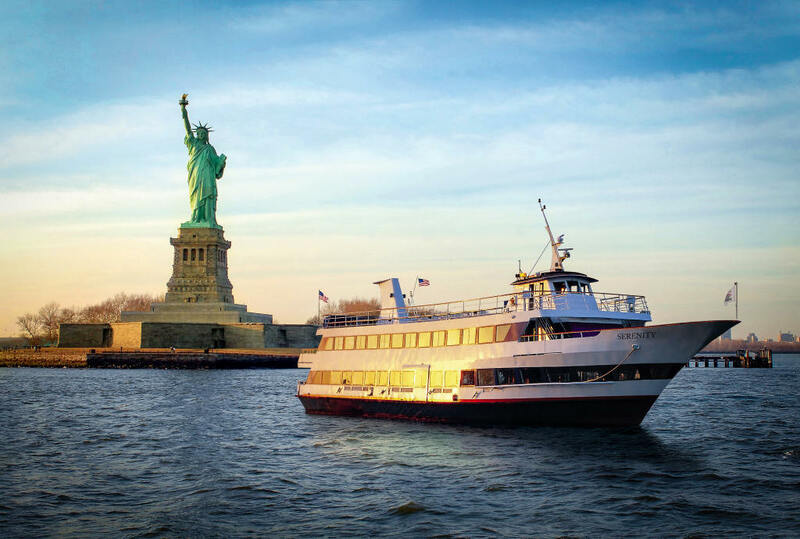 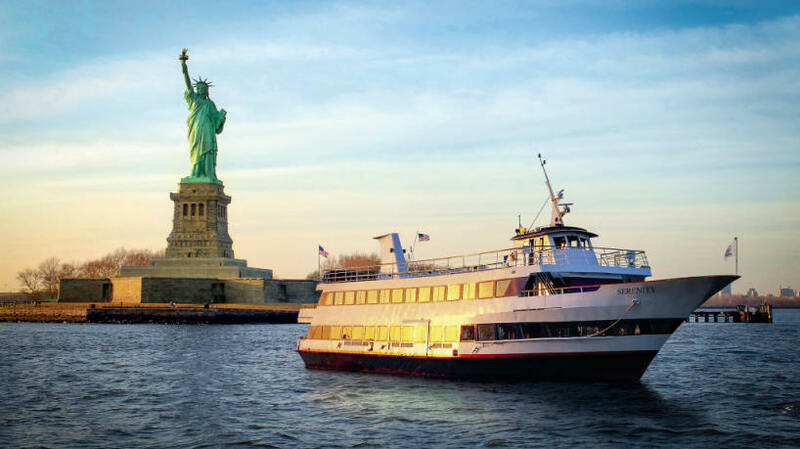 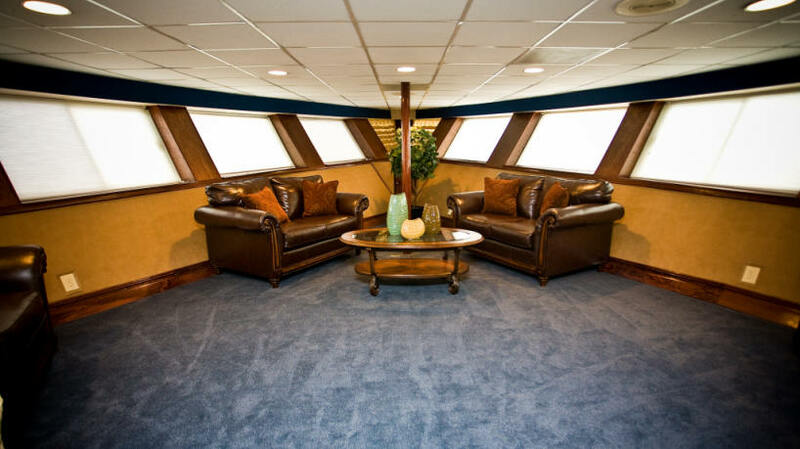 An impressive yacht for nearly any occasion, Hornblower Serenity has two climate-controlled decks with fully stocked bars and large windows. 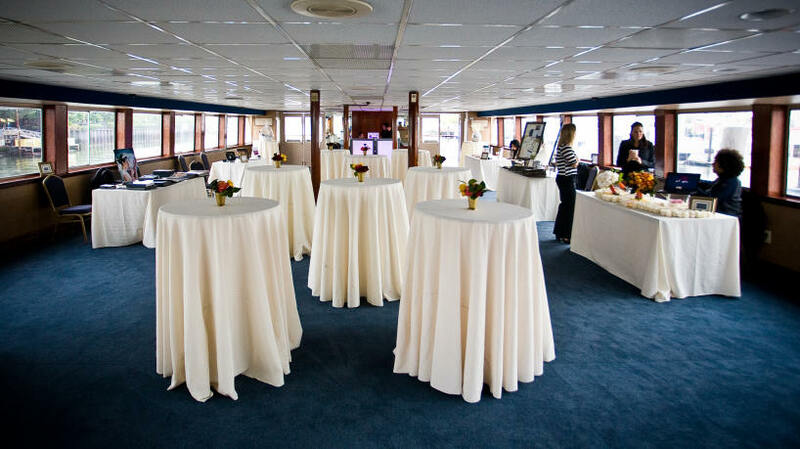 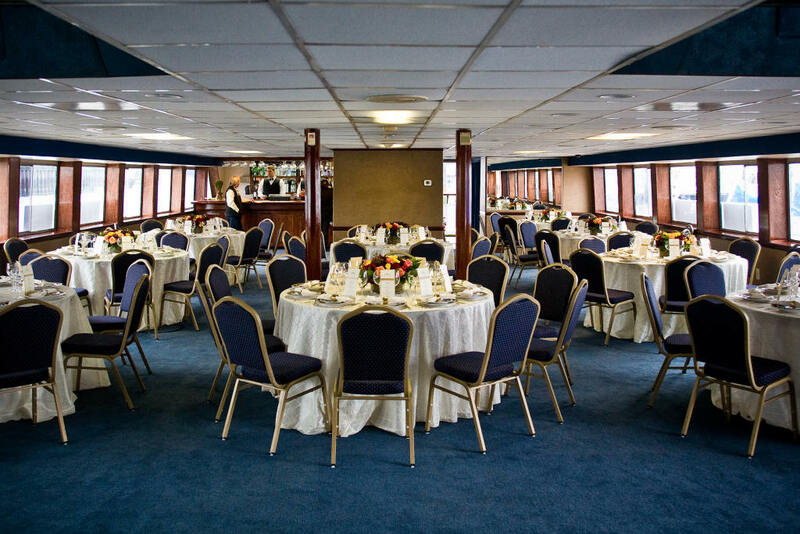 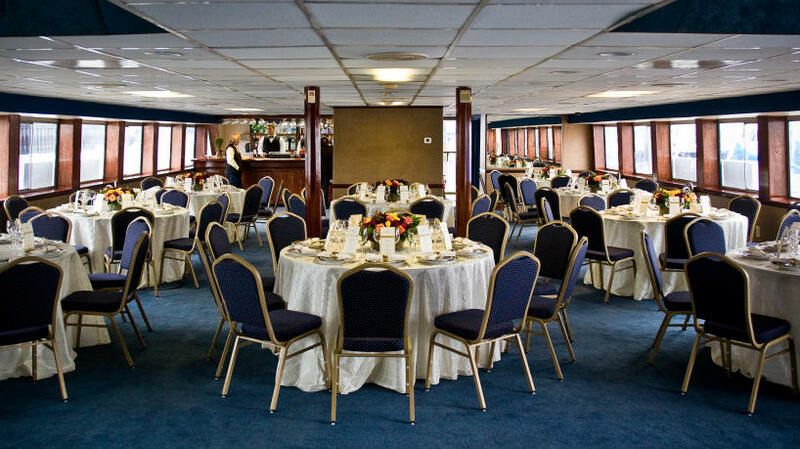 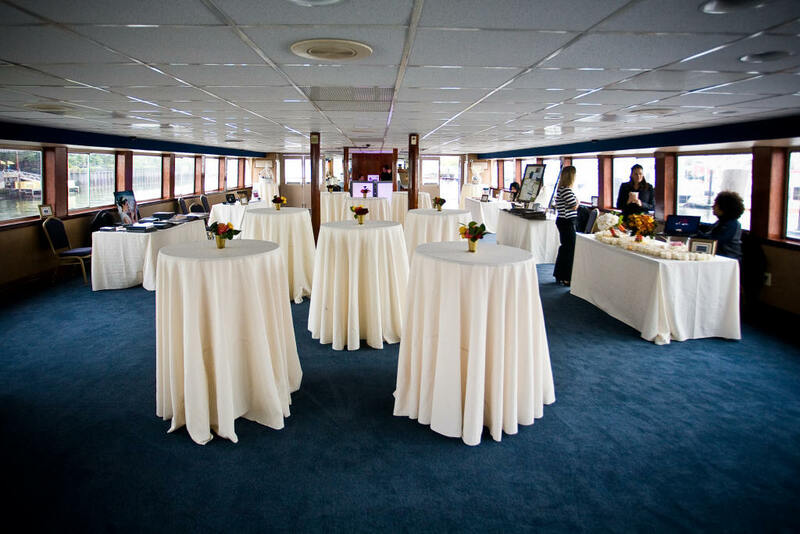 With a cocktail capacity of 350 guests, the yacht can also host 280 people for a sit-down dinner. 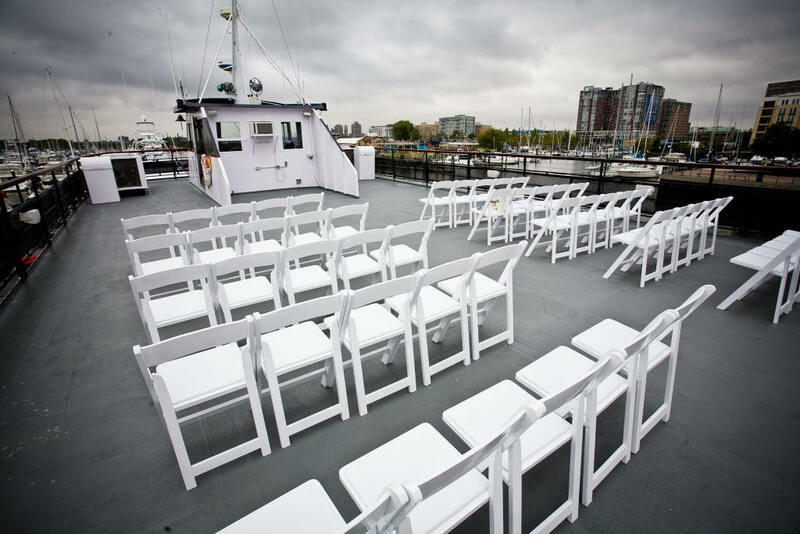 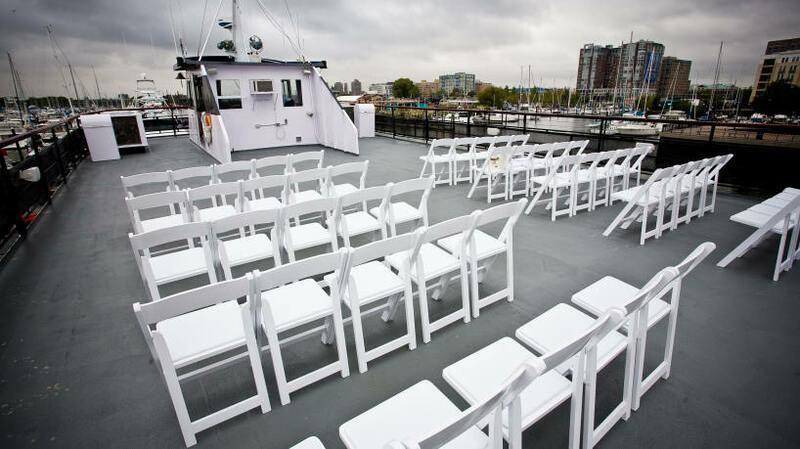 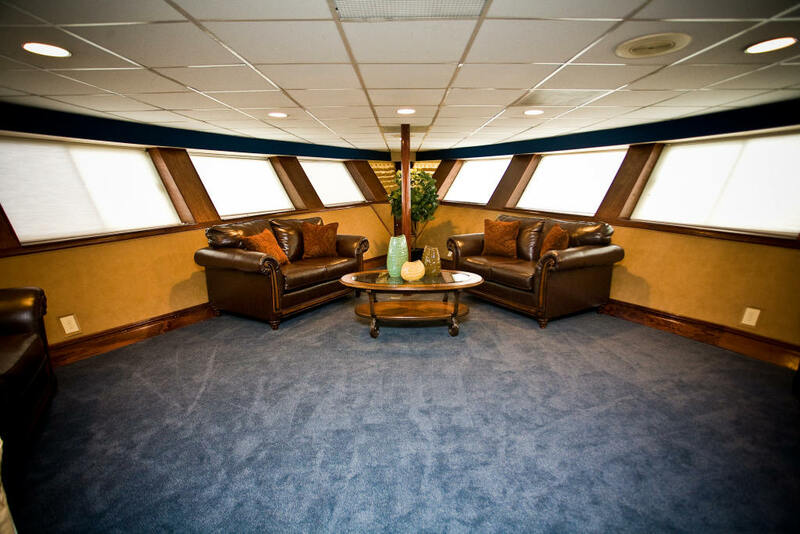 The observation deck is perfect for wedding ceremonies.